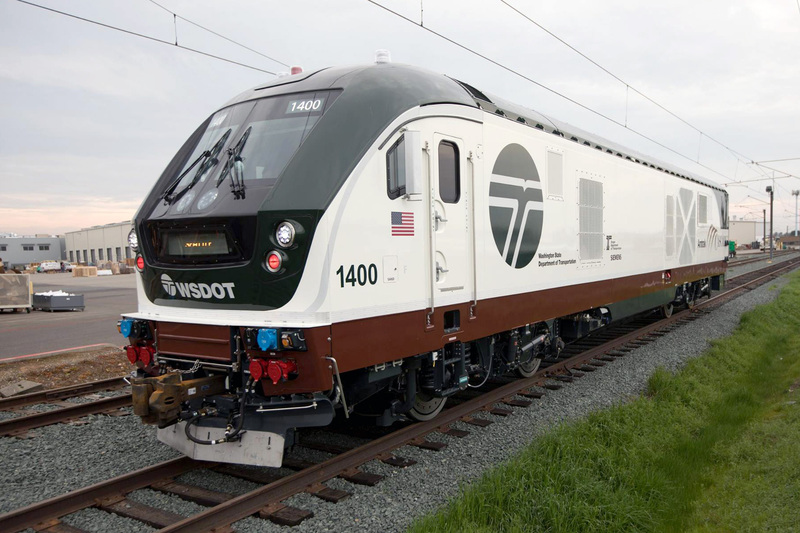 Soon to star on Amtrak Cascades passenger trains between in the northwest of the United States, the first two Charger locomotives for the Washington State Department of Transportation (WSDOT) have been completed by Siemens USA. On March 6, to be precise, the first two Charger SC-44 locomotive for the WSDOT left the Siemens works in Sacramento. The locomotives will be used on Amtrak Cascades services, starting in the summer of 2017. According to the operator, the two locos will first be subjected to 500 miles of acceptance runs to run in the engines prior to being delivered to Seattle in late March or early April. WSDOT ordered eight Charger passenger diesels from Siemens in 2014 as part of a joint locomotive procurement programme together with the transportation departments of Illinois, California, Michigan and Missouri. The locomotive will enable WSDOT to cope with increased travel demand and to introduce two additional round trips between Seattle and Portland.